Environmental Health staff within the Southeast Health District would like to remind microblading artists as of July 1, 2018, they are required to apply for a permit at their local health department. 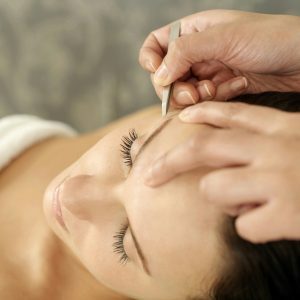 Governor Deal signed a bill permitting microblading, a temporary cosmetic tattooing of the eyebrow, as a legal form of tattooing in Georgia. County Board of Health in Appling, Atkinson, Bacon, Brantley, Bulloch, Candler, Charlton, Clinch, Coffee, Evans, Jeff Davis, Pierce, Tattnall, Toombs, Ware and Wayne counties have locally adopted body art rules to help eliminate public health risk factors, confirm sanitizing practices, ensure after-care instructions are provided for clients, and minimize risk of disease. Microblading now falls within the body art rules. Those performing microblading will have to abide by certain regulations to get permitted. Public Health’s goal is to ensure anyone performing microblading services to follow procedures that will help protect the health of those receiving their services. Southeast Health District Environmental Health Director, Dwain Butler, encourages tattoo artists performing microblading to apply for their permit as soon as possible. For more information on the new law, visit legis.ga.gov/legislation. Contact your local Public County Health Department for more information on microblade permitting.